Looking at the latest August catalog, San-X has released a rather cute theme with different body parts of Rilakkuma. As the name suggests, "funny parts" are supposed to make people look funny when they place these parts on their face or heads. There are the snout, tail and ears of the bears made into different products. 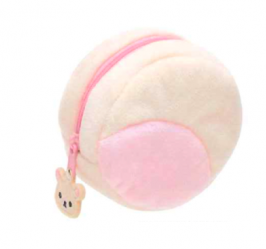 Look at how cute the snout pouch is! 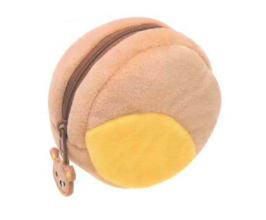 Similar pouch was designed like Rilakkuma and Korilakkuma ears too! We are keeping one each to our collection. These are just way too irresistible for us! 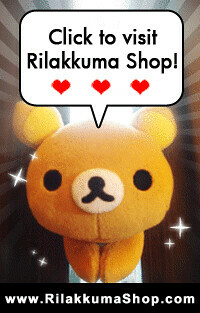 On a separate note, we are totally into Rilakkuma Emoticons these days! 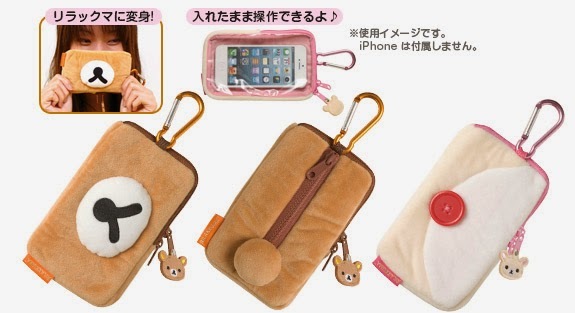 This themed series also released clear handphone pouch for iphone. Yes, it's only for phones around iphone size. We have placed orders for this series and we'll be taking photos of these items in real life to share with all you Rilakkuma lovers.